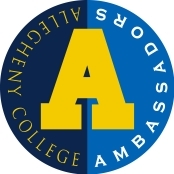 The Allegheny Ambassador program is a student volunteer organization. 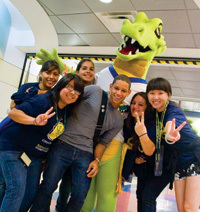 Ambassadors host prospective high school seniors overnight in their residence hall. This opportunity provides prospectives with an in-depth look at Allegheny and allows them to gain a sense of the campus community. Review the Host Information Sheet and complete the online host training questionnaire. Complete the official host registration form. Both, the host training questionnaire and host registration form must be completed before you can host a prospective student. 5 — Get great swag! Beginning for the 2018-19 school year, students must complete host training each academic year. Host training is in the process of being moved online for ease of completion and access.